Dispatch Hospital Cleaner Disinfectant with Bleach is a convenient, ready-to-use cleaner disinfectant. This fast acting, broad-spectrum disinfectant formula cleans and disinfects environmental surfaces and medical equipment easily. 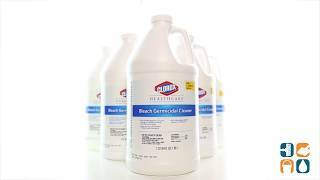 Designed to minimizes damage to surfaces and equipment, Clorox Dispatch Hospital Cleaner Disinfectant with Bleach can be used on a variety of hard, nonporous surfaces. Perfect for areas like hospitals, as well as veterinary and food contact environments, this unique detergent and bleach dilution provides a clear and clean versatility. 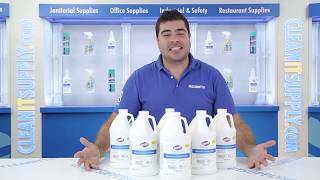 Clorox Dispatch Hospital Cleaner Disinfectant with Bleach comes in 64-oz. Bottles, 6 Bottles per Carton. Clorox Dispatch Hospital Cleaner Disinfectant with Bleach, 64-oz. Bottle, 6 Bottles per Carton.